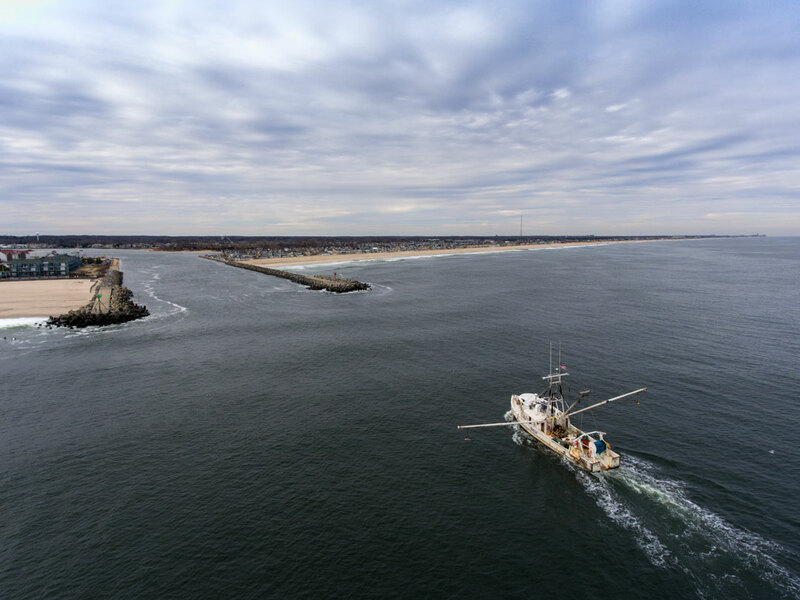 Aerial image of Point Pleasant Beach and the Manasquan Inlet. An angle rarely seen with a fishing boat heading into the inlet. 100 Prints available 11x14, 16x20 and 20x30 sizes. Images was take in February in Point Pleasant Beach 2018. Point Beach Aerial Print is NOT cropped from the original. All images are printed on high quality photo paper and shipped in sturdy packaging..